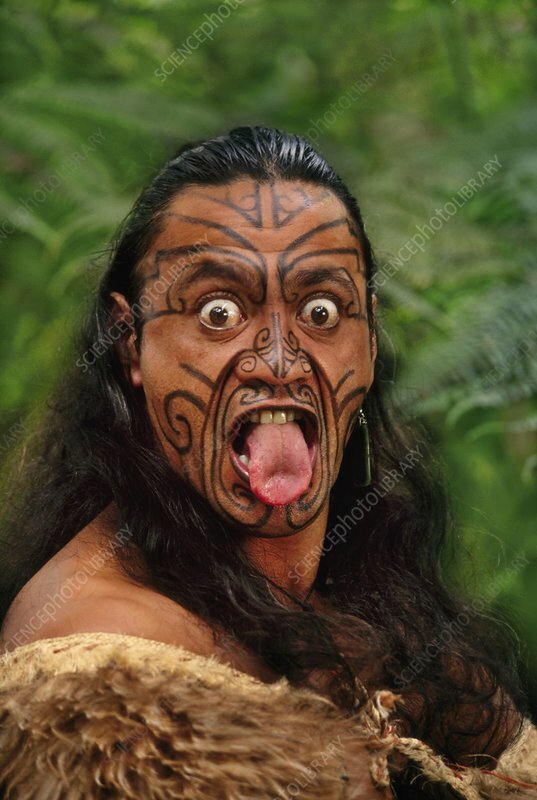 Maori man with facial tattoos. He is wearing a cloak made from kiwi feathers. The Maori, a tribal Polynesian people, are the indigenous people of New Zealand. Photographed in Rotorua, New Zealand.